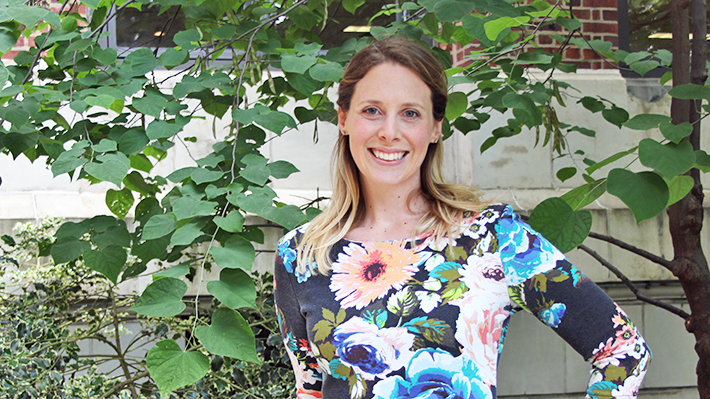 From her earliest days as a PhD student in decision sciences at LeBow, Chelsey Hill was determined to connect her research with real-world problems. After undergraduate studies in political science, Hill went to work for a government defense and law enforcement contractor as a sort of jack-of-all-trades: taking on accounting, computer systems, business processes and other areas. She followed up this real-world business experience with a master’s in business intelligence at Saint Joseph’s University, where she pursued her interest in data analytics and deepened her exposure to programming languages. From there, she came to LeBow with a deep interest in seeing how systems interact and how they often fail to work, then studying – and learning from – those failures in order to make improvements. “I love to go in, figure out what’s wrong and try to fix it,” she says. Early on, Hill devised an area of study combining security and public safety – along with her private sector experience, her father works in law enforcement – and an interest in cars. Though she admits to being “a terrible driver,” she says she has always had a knack for identifying the makes and models of cars she sees on the road. Vehicle safety is often affected by recalls made by major automakers. “These are huge failures – you see companies like Toyota and GM paying a billion dollars, and you see them on the news,” she says. To dig into these large-scale and widely visible problems, Hill drew on both publicly available data from government-mandated recalls and reviews from vehicle owners in order to determine how the decision to recall a vehicle can affect a company’s reputation and market share. In all, the data in Hill’s dissertation spanned the years 2004 to 2014, covering over 1,500 recall campaigns by automakers with ten or more years of American sales. Throughout her time at LeBow, Hill pursued this research, eventually attracting the interest of several major automotive companies, as well as the National Highway Traffic Safety Administration, the government body responsible for writing and enforcing vehicle safety standards. Having successfully defended her dissertation in April and graduated in June, Hill will now continue her research on text mining for a forthcoming book, “Practical Text Analytics: Maximizing the Value of Text Data,” co-authored with Murugan Anandarajan, professor of MIS and head of the management and decision sciences & MIS departments. She also will join the Feliciano School of Business at Montclair State University as assistant professor of business analytics. Professor Daniel Korschun interviews PhD in Business candidate (Decision Sciences) Chelsey Hill about her doctoral research on defects in the automotive industry.